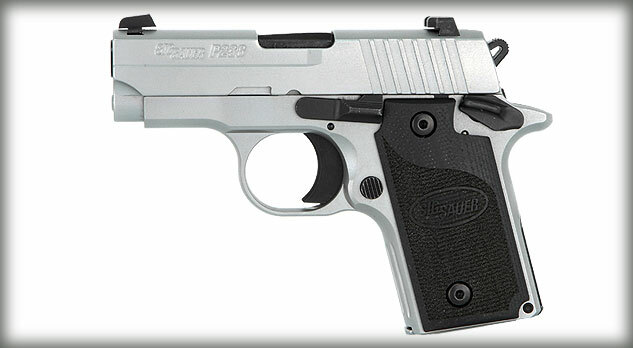 The Sig Sauer P238 HD is a small frame, sub-compact pistol designed for conceal and carry, self-defense, and back-up pistol purposes. 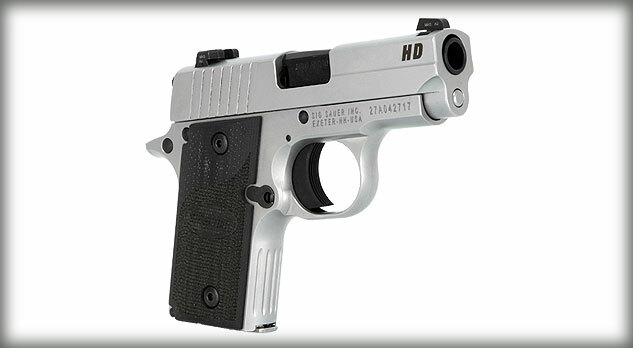 It is based off the Colt Mustang, which is a compact version of the 1911 model of pistols. 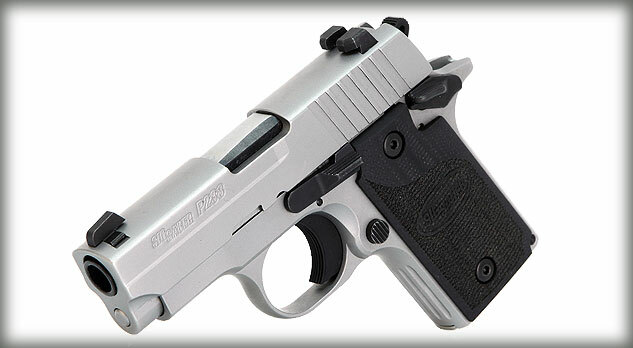 The overall length of the P238 is 5.5-inches, with a barrel length of 2.7-inches. It holds a six-round magazine of .380 ACP (9mm short) ammunition, and can also support extended cartridges for a full hand grip on the pistol. 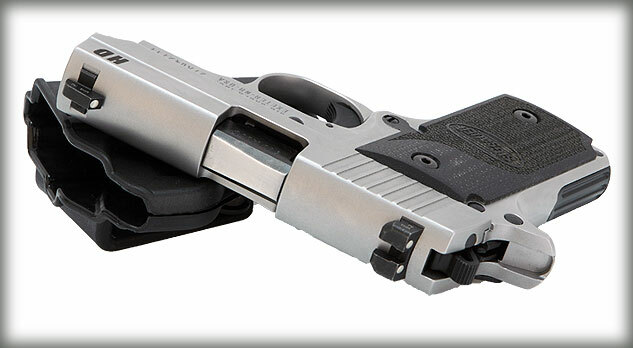 The P238 HD slide and frame are made of stainless steel, with a natural stainless steel finish. The grip is a checkered G-10 with a fluted front strap. 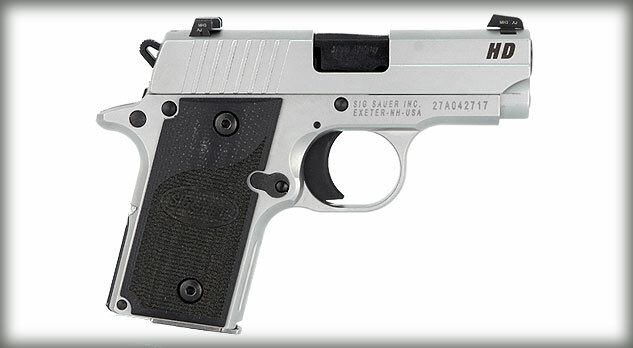 The safety controls for the P238 are on the left side, and starting in 2012 models became available for left handed shooters. The front sight post is fixed, with the rear sight being a U-Notch, and featuring the SigLite Night sight white dots. It operates on a Single Action Only trigger that has 7.5-8.5 pounds of pull.